In Khao Lak-Lam Ru National Park, orchids, beauty and hospitable people are everywhere. Located in Thailand's province of Phang Nga, Khao Lak-Lam Ru consists of pristine beaches, lush greenery, immaculate woodlands and two mountain tops. 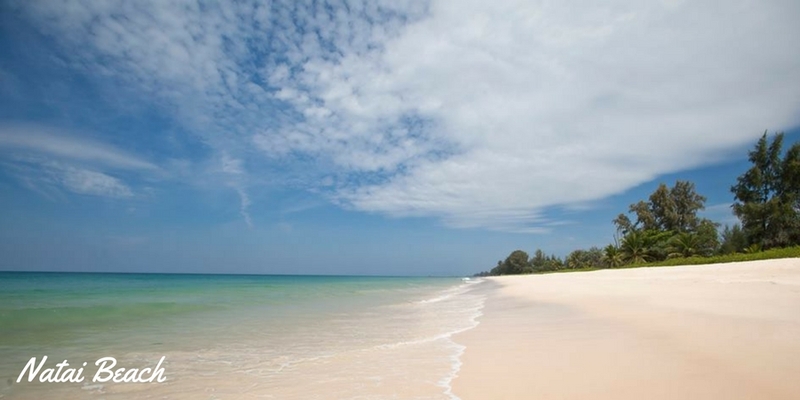 Often referred to as Khao Lak, many people consider it a haven from the turmoil of current world events. There is an abundance of activities all year in this tropical wonderland. 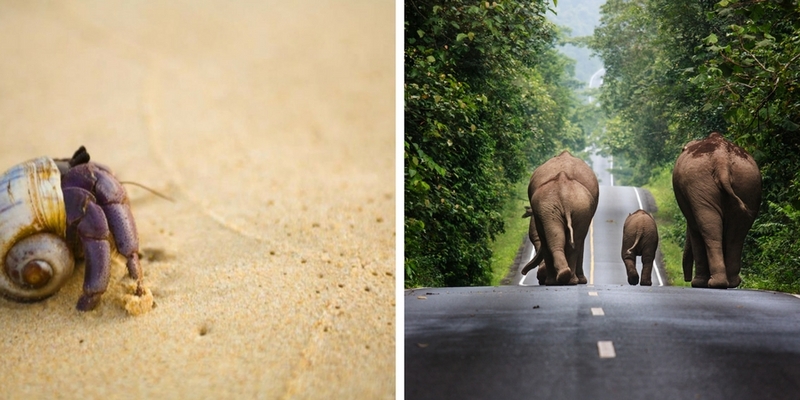 Vacationers have discovered that a month is not enough to savour its rich ecology and cultural heritage. Diving, swimming, snorkelling and other forms of aquatic activities are popular. 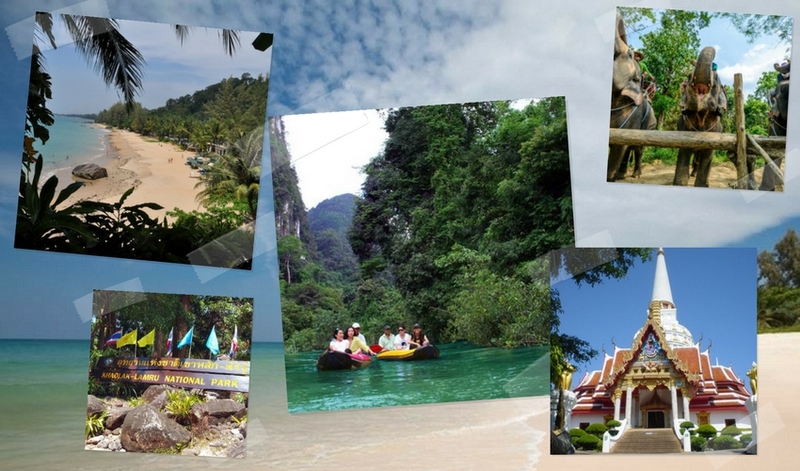 You can also hike, celebrate festivals, bike, explore the lagoons and totally immerse yourself in nature at Khao Lak. The dry season is ideal for water and outdoor events. It starts from November and ends in April. The months of May to October are the wet season. The weather is characterized by rain and occasional thunderstorms that happen in the late afternoon. This period is a great time to stay indoors and indulge in the amenities of the resort such as meditation, yoga and spa treatment, which promote your total relaxation and well-being. It's also a great time and place for a wedding and honeymoon. The famous Phang Nga Bay is situated near Phuket Island. You can paddle by yourself or join a tour group and ride a canoe or boat to bask in the breathtaking scenery. Two James Bond movies were filmed here, The Man With a Golden Gun and Tomorrow Never Dies. The bay is a favourite Hollywood movie location, The Beach, starring Leonardo DiCaprio and Around the World in 80 Days are just a few of the many films that showcased the bay. Picture yourself in this magnificent place where the awe-inspiring sight of single and clusters of mammoth rock formations is right before your eyes. What an unforgettable experience. You can join a tour group that circles around the bay. It also navigates into caves and lagoons. The coral reefs that you see attest to the clarity of the water. Fees range from 1,700 THB to 3,700 THB, which is the equivalent of 39.65 to 86.70 UK pounds. Nang Thong Beach is a major beach destination. It is near the bay and characterized by a panorama of endless white sand with the mountains and trees in the background. You can snorkel, swim, surf, dive, jet ski and ride boats here. It is not overcrowded, and the whole area is very clean with no litter, bird droppings or waste materials washing ashore. When not swimming, bathers relax on their beach towels on the spotless sand. Roofed picnic tables are located a short distance away. Everything you need is within walking distance. There are nice bars and restaurants located in the village of Ban La On, which is within walking distance. Pak Weeb Beach is the among the most peaceful and gratifying destinations in the world. Great care is taken to protect its environment from noise and pollution. Motorboats are not allowed. The beach and the area surrounding it is always clean. The sand is in excellent shape. Pak Weeb is an ideal place for walking, recovering your serenity and falling in love with life again. You can swim and surf all day in privacy. It's secluded, and the atmosphere is unhurried. You can wake up at dawn to watch the spectacular sunrise or enjoy the sunset while you eat in the town's bars and restaurants, which are within walking distance amidst the lush greenery. Natai Beach is an idyllic six-mile stretch, also known as Pilai Beach due to its near proximity to Pilai village. Since it is isolated, Natai Beach is becoming a favourite destination of international celebrities who crave a quiet and secluded beach resorts. The strict building and zoning laws ensure that the beach remains unspoiled. Aside from the sound of the waves and movement of the leaves, the place is quiet. It does not have chairs, picnic tables, cabanas and commercial distractions. Tourists hardly know Khuk Khak Beach. It's where the local fishermen harvest their catch. Sea shells and shattered corals are scattered on the sand. Undeveloped as a tourist spot, Khuk Khak Beach is among the most romantic places where you and the person you love can spend time undisturbed, absorbed in each other's company. The beautiful Thai Muang Beach is hardly known by tourists, and it has so many good things to offer. The beach, which spans a wide 18 miles has two adjacent villages, huge waterfalls, nature trails and a golf course. There is a national park, called Thai Muang National Park with a hot spring. You can camp and spend a one to two nights here. Also located at Thai Muang is The Phang Nga Coastal Fisheries Research and Development Centre. It is a conservation centre dedicated to providing sanctuary for the Olive Ridley turtles, which on the endangered species list. The place also protects and treats wounded animals. Thai Mung Beach is home to The Turtle Festival, an event that occurs every year for seven days, between November and February. During this festival, the Centre engages the assistance of volunteers to help the leatherback turtles that lay their eggs for the season to swim back to the sea. You can eat seafood to your heart's content and even western food at the Thai Muang village where there are plenty of places to dine. If you like an active nightlife, Bang Niang Beach will not disappoint you. The beach is frequented by young people, backpackers and tourists who like stimulating evenings. 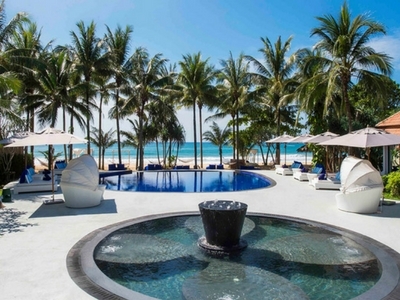 Bang Niang Beach has been developed to accommodate world-class vacationers. You can rent any equipment that you need to surf, snorkel, water ski, swim, scuba dive or motor boat. The smell of the fresh and clean waves is prevalent throughout the shore. There are many places to shop and dine. Dancing and partying is a big reason that tourists flock to the place. The Bang Niang market is open every night. It's a marvellous place to experience the authentic culture. The market sells vegetables, many varieties of flowers, native products and souvenirs. Aside from the beach destinations, you can go canoeing at the Pokok River, located inside the Khao Sok National Park, a wilderness that measures 450 miles of fauna and trees. You can take a boat ride on the Cheow Lan Lake, where you will feel as if you are transported to the magical time before civilization began. There are stilted bungalows for rent should you want to spend the night. For those who love whitewater rafting, the Ton Pariwat Wildlife Sanctuary contains a three-mile stream called the Khlong Song Phraek. It is perfect for beginners because the rapids are not challenging. You will be surrounded by mountains as you stream down the river. Khao Sok Park has several amazing waterfalls. You can swim and relish the overwhelming sensation as you immerse your body in the pure water at this magnificent natural environment. Heavy water from the Chong Fah falls directly into the Lam Ru. The Lam Ru falls is another place where you can swim. It's also surrounded by fauna and trees. You can hike and contemplate nature around the falls in Khao Sok Park. There are hiking tours that you can join. You will see Asian bear cats, monkeys, elephants and flying lemurs among the forest's wildlife. A restaurant that blends with the environment is situated in the jungle. The Thai New Year festival known as Songkran, from April 13 to 15, is observed throughout the country. Khao Lak Lam-Ru National Park is among the best places to celebrate and join the festivities. Compared to the cities, the crowd is not as chaotic, and you will not end up lost as you join the people throwing water at each other. The locals like to include the tourists. You will get doused with water when you walk in public during the celebration. You are free to do the same thing to the others. Just make sure to spare old people and cyclists for safety. You will be pleasantly surprised at how much harmless fun you will have during these hot days. Khao Lak-Lam Ru National Park is steeped in the Buddhist tradition. You can visit ancient temples that are located on the mountainside and inside the caves. The temples are reverently cared for. The statue of the Buddha will greet you in peace and happiness. Two amazing five star beach resorts in Phang Nga, Phuket, located on the pristine Natai beach. Located on the pristine sands of Natai Beach just 20 minutes north of Phuket International Airport, this Phang Nga beach resort is where the hip movers and sand shakers come to play and slay. With 58 stylish rooms, suites and villas complemented by lashings of in-room comforts, and appealing facilities including beachside massage salas and a fully equipped fitness centre, the beachfront member of the akyra family offers an enchanting escape. 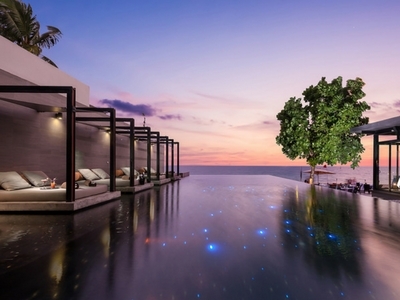 Located on the sunset side of the Andaman Sea and the pristine Natai Beach, this five star Phang Nga, Phuket resort is just 25 minutes north of the Phuket International Airport. The concept of "all suites, all private" is delivered in luxury suites and villas, come with plenty of private space. Aleenta's luxury resort accommodation range in sizes from 80sqm for smallest suites to up to 5-bedroom beachfront Grand Villas.